North Coast Congressman Jared Huffman, an outspoken critic of President Donald Trump, has given the first of what he says will be a series of “moment of truth” speeches on what he describes as the 45th president’s compromised conduct. In his initial comments given on the House floor Thursday, Huffman dedicated the time to discussing “damning revelations — secret meetings, business and financial entanglements, and elaborate attempts to conceal information,” specifically regarding Trump associate Felix Sater. Washington, D.C.- Rep. Jared Huffman (D-San Rafael) delivered his inaugural “moment of truth” speech on the floor of the House of Representatives today, launching a series of remarks that will catalogue the ways that the presidency of Donald Trump has been compromised, including Russia’s role in the 2016 election, and the obstruction of justice and abuses of power that have been designed to obscure the truth about the Russian connections. 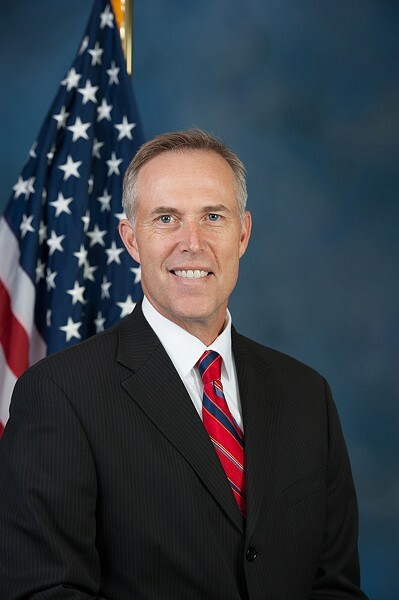 Each week, Rep. Huffman will describe a difference piece of evidence, and hold the President accountable in the Congressional Record for his actions and those of his staff and family, as well as shine a light on their extensive connections with Russia. Mr. Speaker, Donald Trump claims he has “nothing to do with Russia,” but we have seen damning revelations – secret meetings, business and financial entanglements, and elaborate attempts to conceal information. ‘In any other era, these would be “bombshells” but our nonstop media cycle, fueled by Trump’s constant infusions of drama, makes it hard to connect the dots. It’s not that we lack evidence of Trump-Russia ties; it’s that there’s so much it makes your head spin. ‘So today, I’m beginning a “moment of truth” series of speeches: to point out facts that show an administration that is compromised; that not only colluded with Russia, but has obstructed justice to keep us from knowing the truth. ‘One of many smoking guns is from 2015, when Trump’s associate, Felix Sater, was seeking financing from a Russian bank facing American sanctions — to build a “Trump Tower” in Moscow. This email from Sater to Trump's personal attorney speaks for itself: “I’ll get Putin on this program and we’ll get Donald elected.